The soundtrack to Secret of Mana has to rank as one of the best ever committed to silicon, with stirring battle songs rubbing shoulders with soothing lullabies and bittersweet tunes. Hiroki Kikuta's work remains masterful, even after all these years. 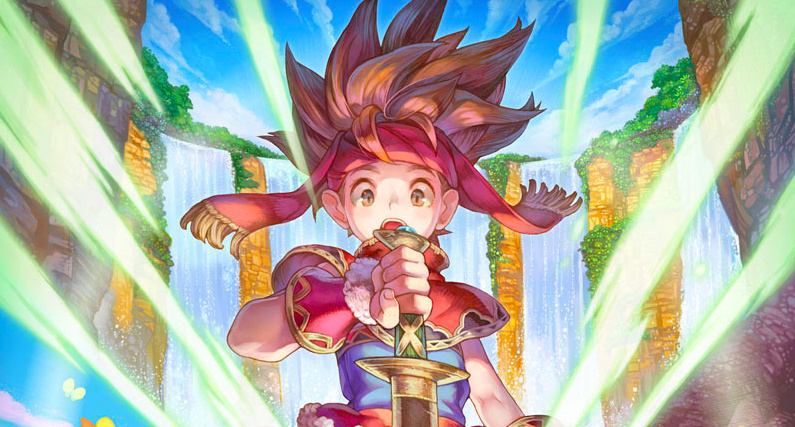 We didn't think it could get much better, but it seems we were wrong - if you take the Secret of Mana OST and get a group of talented folk artists to reproduce it in their own style, you get something really special indeed. The Travelers VGM - a Seattle-based group which produces cover versions of famous video game soundtracks in various folk styles (including Celtic, Welsh, Spanish, French, and Slavic) - have crafted the album Heart of the Forest, which contains 18 rearranged tracks from Secret of Mana, some of which mix in classic folk songs for good measure. The ethereal and earthy textures of the original Secret of Mana soundtrack fit perfectly with the folk concept our group tries to promote. I love how we all brought new flavors and ideas to the table but still captured the original essence and beauty of Hiroki Kikuta's music. The album launches today and you can check it out on Bandcamp, Spotify and iTunes. Let us know what you think by posting a comment. Nice, now if only we could get that collection on Switch to properly enjoy this alongside the game. Props to Travelers VGM, this sounds beautiful. My work playlist is getting better and better. What time does it release today. I’m 99% sure I’ll buy it since this is my all time (well maybe tied with the DKC trilogy) fav video game music. Beautiful arrangements! I don't even really know the Secret of Mana music (I know, I know!) but I might have to get this. only if I could listen to this on my Switch. I have the Mana collection but I am so busy playing new games that I never got around to play it. Might have to buy this. I have the original ost on my phone, the actual SNES music. Shows how good the original soundtrack is when it fits right at home alongside 'real' music. All from a SNES! Amazing work. I hope it's better then the remixes they made for the Secret of Mana remake on PS4. @Tasuki We hope you will give us a shot! Especially if you wanted more out of the remake . @TheBraveFencer Thank you so much! So glad you enjoy . @AG_Awesome Bandcamp should be live in one minute (literally). @AG_Awesome You are very welcome! If you enjoyed this, be sure to check the Symphonic Fantasies arrangement of Secret of Mana. Really good listening. This is pretty nice. I coincidentally just finished playing Adventures of Mana on my iPhone and going to start playing Secret of Mana as well. @thetravelersvgm excellent music, I love that game and I love your beautiful arrangements of these timeless songs! Love this game and game music overall! We also cover game music with Gigamen, actually Nintendo 8 bit (NES) songs. Check out our new songs!